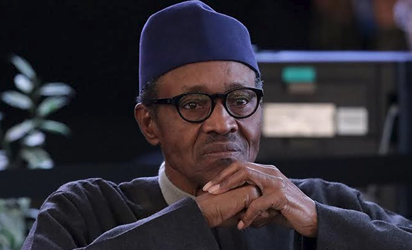 ASABA—VICE Chairman of All Progressives Congress, APC, in Warri South Local Government Area, Delta State, Mr Mike Okumagba, has said President Muhammadu Buhari is God sent, insisting that Nigeria would have been worse off economically, if he was not voted into power in 2015. Okumagba, who spoke with newsmen after a meeting of the party, expressed optimism that the Urhobos in particular and Delta State had a bright economic and political future under the administration of President Buhari and called on the Urhobos and indeed Nigerians to support President Buhari and the APC. Assuring that the country would come out of the present economic recession stronger, he said “Nigeria would have been worst off if not for the emergence President Buhari. You would agree with me that the word ‘Buhari’ is synonymous with discipline and accountability. We should be patient a little bit and in no distant time, we shall enjoy the benefits of the recession”. On why he decamped from the Peoples Democratic Party, PDP to APC, Okumagba said “I just want to key into President Buhari’s philosophy of change which has been paying off. Joining the progressives will benefit me and the Urhobos of Warri politically. With the likes of the National Chairman of the APC, Chief John Odigie-Oyegun who is maternally from Warri Urhobo, Senator Ovie Omo-Agege, Chief Great Ogboru and Olorogun O’Tega Emerhor it will be wise for the Urhobos to support President Buhari and APC in 2019″, he added.